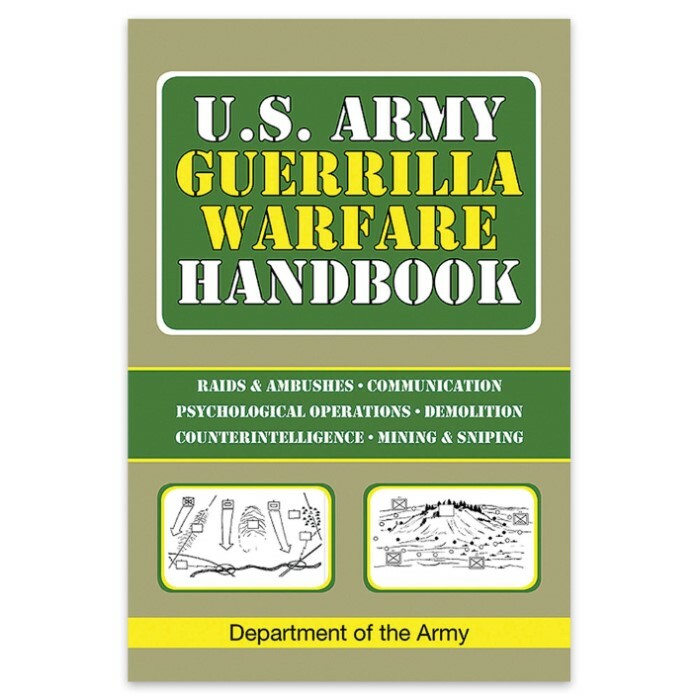 US Army Guerilla Warfare Handbook | BUDK.com - Knives & Swords At The Lowest Prices! From the snows of Korea to the jungles of Southeast Asia to the mountains of Afghanistan, the U.S. Army has employed guerrilla tactics to deadly effect. Those tactics and techniques, being used today by U.S. soldiers, are laid out in the U.S. Army Guerrilla Warfare Handbook. This is an inside look at the guerrilla strategies and weapons that have come to be feared by enemies and respected by allies. Not another outside perspective or commentary on unconventional warfare, this is the original.